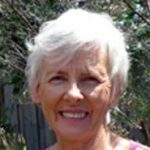 Rhonda Ohlson has spent a lifetime freeing her voice with the Feldenkrais Method and singing, and more recently studying with Chloe Goodchild how to use chanting to tune in and align with your soul voice. Come along to this fun, joyful session and sing your heart out. This workshop is for everyone. “If you can speak you can sing”.